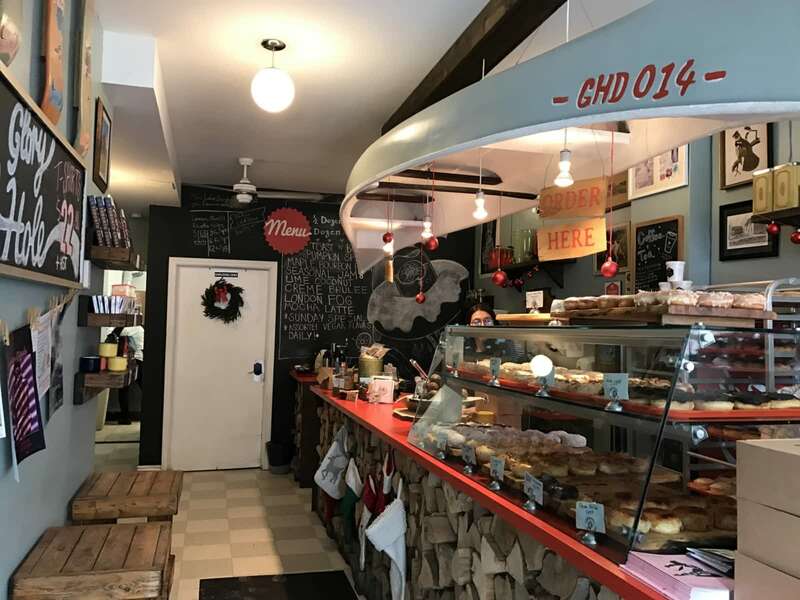 When Glory Hole Doughnuts owner Ashley Jacot De Boinod started peddling wholesale doughnuts back in 2011, Toronto was mired in cupcake mania. Back then, Homer Simpson’s favourite snack was something you grabbed at a local food chain with your coffee. Doughnuts weren’t a glamorous pastry. And they certainly weren’t something you featured at weddings, let alone on perfectly tempting magazine covers. These days, the doughnut is the pastry du jour and Toronto has Ashley to thank for that, in part – she was one of Toronto’s first chefs to show that these deep-fried pucks could be way more than sprinkles and chocolate icing. Ashley, a pastry chef by training, cut her chops at some of the city’s most prestigious restaurants, including Scaramouche and Buca, before opening her own shop, Glory Hole Doughnuts. "The decision to leave fine dinning and focus on my own projects was honestly a very tough one," admits Ashley. It wasn’t just the company’s salacious name that caught people’s attention, but Ashley’s unusual flavour combos. Belt-busting numbers like a maple-bacon peanut butter doughnut topped with cream cheese frosting had customers going gaga for these confections. Some, like the lox sandwich, were flops. Others like the toast-and-butter doughnut (a stalwart offering at Gloryhole) stood the test of time. According to Ashley, it "combines the perfect textural components." A yeast raised doughnut filled with a house made coconut cream pie filling topped with a vanilla bean glazed, finished with dark chocolate shavings. A yeast raised doughnut filled with a house made peanut butter Bavarian cream, topped with a dark chocolate glaze, finished with peanuts. A yeast raised doughnut filled with a house made cherry pie filling, topped with a vanilla bean glaze, finished with an oat crumble. A yeast raised doughnut filled with a house made strawberry cream, topped with a vanilla bean glaze, finished with graham crumb. A yeast risen doughnut filled with a house made lemon infused pastry cream, finished with a lemon glaze. A yeast raised doughnut topped with a house made rosewater glaze and finished with pistachio. yeast raised doughnut topped with a house made vanilla bean glaze and finished with rainbow sprinkles. A yeast raised doughnut topped with a house made hibiscus rose tea infused glaze. A yeast raised doughnut topped with a house made lemon basil glaze. A yeast raised doughnut topped with a house made peanut butter cream cheese frosting, topped with a house made raspberry jelly, finished with crushed peanuts and cinnamon. Our signature doughnut topped with a house made brown butter frosting, sweet bread crumbs and cinnamon. A yeast raised doughnut topped with a housemade cream cheese frosting, garnished with housemade chocolate chip cookie crumb, and finished with dark chocolate drizzle. A cake style doughnut made with ricotta and lemon zest, finished with an olive oil glaze.